Heavy, full-cushioning is great for people on their feet all day, and need an ultra-durable sock. Features Smartwool's original technical fit system that allows your foot and sock to flex without bunching. Now made using WOW technology. Heavy, full-cushioning is great for people on their feet all day, and need an ultra-durable sock. 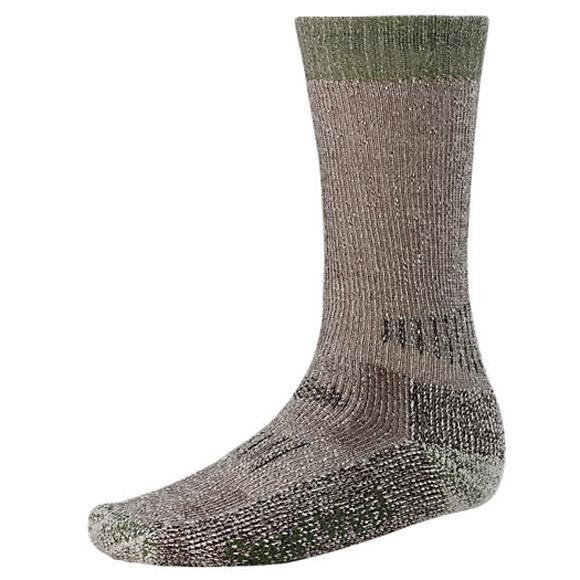 Features Smartwool&apos;s original technical fit system that allows your foot and sock to flex without bunching. Now made using WOW technology. To ensure we get as much wool against your skin as possible, we created WOW (Wool-on-Wool) Technology. Here we&apos;ve replaced some of the nylon in the high impact zones of the sock, (heel and forefoot) with more Merino wool.